It was only a matter of time. A newcomer to the brewing business has tapped into the power of AI to help out its products. One of the quirkier applications of IBM's Watson AI engine has been in the creation of new recipes. It scours a global database of existing recipes and concocts novel new combinations that have yet to be tried. While this is still largely in an experimental mode, a London-based start-up is using AI in creating products for the real world. 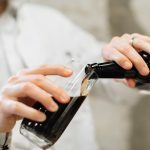 IntelligentX is a beer company that uses machine learning to hone the brewing process based on feedback from consumers. The Automated Brewing Intelligence (ABI) system takes feedback from consumers of the four bottled beers sold by the company via a Facebook Messenger bot. This feedback then goes into improving the recipes. As with the Watson system mentioned previously, there is also a 'wildcard' element to the process, with ABI trawling an archive of beer recipes to look for novel ingredients that may add an unexpected boost to the beer. Golden AI: The origins are from a classic British golden ale recipe featuring Styrian Golding hops. "Contrary to popular belief, we don't believe A.I. is going to take everyone's jobs," the founders say. "We believe the future is a place where A.I. augments humans' skills. In this case, we're using A.I. to give our brewer superhuman skills, enabling them to test and receive feedback on our beer more quickly than ever before. This means we can respond to consumers’ changing tastes faster than traditional brewers." Each recipe that is created by ABI will be posted online for others to recreate themselves. The logic behind this move is that each batch offers a unique flavor, so there is no need to keep it hidden away. This is arguably the first time AI has been used to help create a product that is sold on the marketplace, but the makers believe it will be the first of many, with other products such as perfume or chocolate ripe for being crafted by an algorithm.